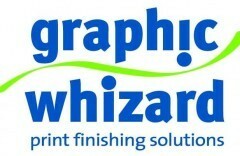 Graphic Whizard has built a superb reputation for manufacturing and distributing quality Print Finishing Equipment. Throughout our manufacturing and distribution processes, there are quality control checks from start to finish. We take pride in our excellence and are continually searching for ways to grow and improve our existing product line. Beginning with Number/Perf/Score machines and then expanding to Creasing equipment, Graphic Whizard now provides a broad range of bindery/print finishing equipment able to fulfill any production requirement and budget. Since 1987, Graphic Whizard has installed thousands of systems worldwide through our global network of dealers and distributors who provide local hands-on sales and technical expertise.